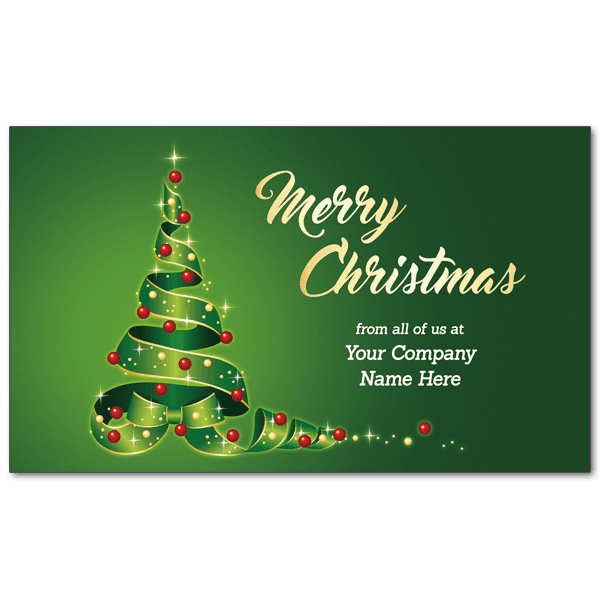 Personalised Christmas card with green ribbon tree. Would you like us to use your logo on the front of the card? You can upload your logo at checkout. You do not upload it here. If you miss it or forget, we can also accept your logo via email.